So, what do all of these stats mean? Simply that the quality of your content has a direct correlation with how well your website pages are ranking on search engines. You can’t afford to ignore how content is changing – which includes a focus on long-tail keywords, long form content, and voice search, all of which should be reviewed frequently, with improvements made based on the data you’re seeing. Now, let’s talk specifically about why a content strategy built for SEO is essential for healthcare tech companies. First, healthcare tech companies have a specialized offering, whether it’s a product or service. Potential customers are searching for a solution that specifically meets their needs, but in order to find your company, you must optimize your website so they can find you. Second, your sales cycle may be a bit longer, simply because purchasing software or technology can be more of an investment for many. This means that content can play a key role in educating your audience about not only your solutions, but also common challenges they may face and ultimately, how your company help. Finally, with a well-planned content strategy designed for SEO, you will position your company to be found organically in search in the long run, while also building a strong online presence. Ultimately remember that you are marketing your solution to organizations that are serving patients – so as you communicate through your content, remember that you’re speaking to real people – whether that’s doctors, nurses, or administrators. Over the past few years, search and therefore content, has been making a subtle shift. As voice search has increased in popularity, so have more conversational searches. Rather than searching for something like “electronic health records” or “EHR” someone who is seeking a new EHR may search for something such as “what is the best EHR for hospitals”. For many years, the focus was solely on finding the keywords with the highest search volume and utilizing those to bring people to a website. Now, search engine algorithms focus more on the quality of content and determining if that content will provide the searcher with the information they are seeking. Structure has changed from researching keywords, creating blog posts, and directing visitors to a landing page to the new structure of creating several blog posts surrounding one core topic and creating a guide in the form of pillar content. One area to consider for your SEO strategy, is website content. This includes the content that’s plain to see on your site, such as copy, long-tail keywords, and links to internal and external resources. Behind the scenes, you should also ensure that each page has a title tag in place, meta description, and alt tags for any images. If you’re wondering what these elements are – here’s a brief description of each. A title tag is simply the set title for a page, typically you can set a specific title tag where ever your website is hosted, which should include the keyword you’re targeting for that page. The meta description appears on the search engine results page and will help the searcher determine if they want to click through to your page. Lastly, an alt tag is an accurate description of any images on your site, but should also include keywords as images show up in search results as well. One of my favorite parts of working in marketing is writing – or more specifically, blogging. The question is – are keywords still helpful? Overall yes – however there needs to be a balance of high-quality content, the information your audience is looking for, and optimizing your content for search engines. A newer content strategy that has been emerging is the concept of pillar pages. A pillar page is a compilation of all of the information you produce in blog posts which is made up of subtopics that surround a main core topic. While you summarize the blog posts in your pillar content, this should not be verbatim as that would put your website at risk for duplicate content. Pillar pages should be a minimum of 2,000 words, and while more is better, it should only be high quality, unique content, which means you should ensure that the information isn’t redundant. If you’re having trouble visualizing how to put together a pillar page, here are the steps it takes – if it seems like a lot, it is! Let’s talk more about each step. This will require some research, using a keyword tool, to discover the best keyword to use. A core topic should be something that supports one of your services or products. Subtopics will provide more detail on various aspects of the core topic. It may take several weeks to create enough blog posts around a core topic. Decide the pace that would work best for you. Most companies find it manageable to publish 1 or 2 blog posts per week. Once you have all of the blog posts you want to include on your pillar page, create an outline with sections. To write the pillar page, summarize each blog post and break up everything into sections. You must ensure that your pillar page links to each blog post and vice versa – it’s a good idea to add internal and external links to your blogs. At this point in the process, it’s vital to have any subject matter experts review what’s been written to ensure that all information is correct and complete. Make sure your page is easily accessible through your main navigation menu, on a resource page, and through a call to action, which should appear throughout your site and in blogs. Another idea that Spot On has seen success with for our clients is a pop up that allows a visitor to enter their email to download a PDF of the content. Once your page is live, make sure that you promote it to your contacts through email and to your audience on social media. Once you create your pillar page, don’t just leave it alone. Make sure that you analyze the results of your page by reviewing traffic analytics, heat maps, and conversions to determine if anything on your page should be updated. In addition, you should keep adding content as you create it, if it fits in with the core topic. While you can put your content strategy into practice without a tool, for HubSpot users, there is a useful tool for content strategy available, making the previously described process super easy to visualize and plan. If you’re wondering what a pillar page looks like in practice, here is just one example from Spot On’s website. 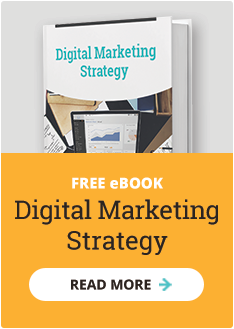 The focus keyword or core topic of this page is “digital marketing strategy” and was created as a comprehensive guide on several subtopics including, buyer personas, content marketing, and website strategy. Our second example comes from one of our client’s websites. The title includes a keyword, which is “revenue cycle management” and is targeted toward surgery centers. If you’d like to take a look at either of these pages, we’ll send the links with our follow-up email. Now I’m going to share a bit about how video can help with your overall content strategy. According to HubSpot, 65% of business decision-makers visit a company’s website after viewing a branded video. This sends a clear message of the value that video has in bringing more visitors to your website. While there’s so much more to video marketing and SEO, here are few things to consider when it comes to creating video for SEO. In general, video results appear in search engines, so by creating quality video content, you’re providing potential customers another way in which to find your company. One question many marketers have is, which video sharing website is better? While YouTube is the most popular, Vimeo and Wistia are valuable as well. For example, YouTube and Vimeo can be useful for getting your content out there but when it comes to bringing traffic to your site, Wistia might be a better option. The reason Wistia is better for SEO is because they automatically insert SEO metadata into your video, which increases the likelihood that it will be indexed. With its most recent updates, HubSpot now provides users the ability to utilize Vidyard right in its platform. As far as SEO capabilities, Vidyard has an SEO metatags feature which allows search engine crawlers to index contextual information about the player. Also, consider that you can utilize the video description on any video sharing website to link back to your site. It’s best to research each one and determine which will work best for your business. Using YouTube as an example, there are a number of ranking factors to consider. These are a few of the most important factors to consider as you get started with optimizing current or upcoming videos: keyword relevance, title, number of views, reactions, comments, sharing, and channel strength. Each of these boils down into more specific factors as well. For example, keyword relevance might include transcription, annotations, keywords, and description. Overall, each of these signals how well your content is received by your audience. It can take time to build an audience, but above all make sure that the video content you’re creating is interesting, high-quality, and captivating for your audience. Finally, how do you choose keywords for video? Video search volume can vary greatly from Google, which is why it’s best to find popular content by searching on YouTube – especially if that is where you plan to post your videos. One question many companies ask about is whether or not social media can help with SEO. While Google has said that social shares don’t count as individual links, there is likely a correlation between social profiles and search engine results. Ensuring that you have a plan for social media integrated with your content marketing strategy is essential and may affect whether or not your company’s profiles show up in search – so be sure to optimize each of your pages with your company’s information. 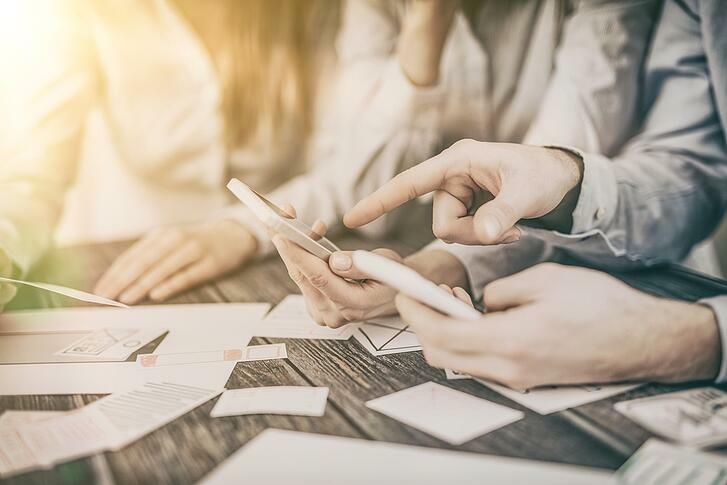 Forbes recently shared some compelling thoughts about SEO for Software as a Service companies, which are applicable for healthcare SaaS companies as well. Remember that SEO won’t produce results immediately – it’s an investment for the long-term. Unlike paid ads, which will pull leads into your website in a short amount of time, building an effective SEO strategy can take time and you may not see the effects of it for several months. For example, a few blog posts that Spot On published several years ago might not have brought a ton of traffic initially, but over the years, traffic has increased and now those same blogs still bring many visitors to our site. You should create content that communicates with customers and potential customers, which means that you shouldn’t post generic content and expect to see great results – your keywords and the content itself must speak to your audience. Be sure to create a consistent plan and stick with it – it’s important to create a plan for your content, whether that means creating new content or updating existing assets. Are you inspired to take the next step in improving your content strategy by integrating it with SEO best practices? Reach out to Spot On today to learn more.